Pianist Ayako Tsuruta has given numerous concerts throughout North America, Europe and the Middle East as soloist and chamber musician. As winner of concerto competitions, Ms. Tsuruta has appeared as the soloist with the Juilliard Symphony, Eastern Connecticut, Connecticut Chamber, and Wallingford Symphony orchestras and Symphonic Winds Ensemble at the University of Missouri in the United States, and the University Symphony Orchestra under the direction of Malcolm Forsyth in Edmonton, Canada. Her performances include summer festivals in Alfred, Aspen, Banff, Hartwick, Oneonta, Ravinia and Tanglewood, as well as Meranofest and Accademia Chiagiana in Italy, and Figueira da Foz in Portugal. An avid chamber musician, she has worked as a collaborator for Magisterra International Chamber Music Festival in Iowa City, Quartet Program at Lewisburg in Pennsylvania, MusiCamp in Red Deer, Alberta, and Music Teachers National Association (MTNA) Western Central Division Competitions. Her collaboration with violinist Annette-Barbara Vogel led to performances in North America, Germany and Lebanon. They have recorded a series of works by Women Composers on Cybele label, which was released in February 2011. A native of Japan, Ms. Tsuruta relocated to Connecticut with her family in 1980. A graduate of Choate Rosemary Hall, she studied with Leena Karejoa Crothers at the Neighborhood Music School in New Haven before studying with Josef Raieff at the Juilliard School. Subsequently she studied with Claude Frank at Yale University, Maria Curcio-Diamand in England, and Marek Jablonski at University of Alberta. Other influential teachers have included Katsurako Mikami, Joseph Kalichstein, Ann Schein, Artur Pizarro, Stephen Coombs, and Arkady Aronov. Ms. Tsuruta taught as Visiting Assistant Professor at the University of Alberta in Edmonton and at the University of Missouri. 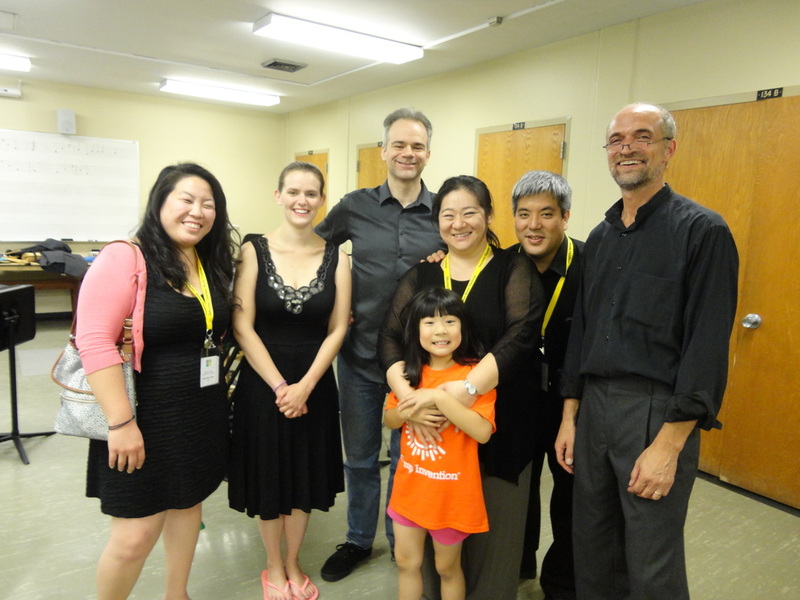 She also taught piano and chamber music for 11 years at the New York Summer Music Festival in Oneonta. She has adjudicated and judged many competitions, including Reneé B. Fisher National Piano Competition in New Haven, and Concerto Competition at the University of Missouri-Kansas City, Missouri Music Teachers Association and National Federation of Music Clubs in Missouri. She resides with her husband, pianist Peter Miyamoto (petermiyamoto.com), in Columbia, Missouri, where she is active as an adjudicator, collaborator, educator, and promoter for the arts. In addition to instructing pre-collegiate piano students in her private studio, Ms. Tsuruta is Artistic Director of the Odyssey Chamber Music Series (odysseymissouri.org) and Plowman Chamber Music Competition (plowmancompetition.org), and founder of the Columbia Music School.